Heat the oil in the large non-stick pan (do not allow it to smoke). (To test if the oil is hot enough, throw in one mustard seed – if the oil is ready, it should sizzle and rise to the top straight away) When hot add the mustards seeds and fry until they sizzle, and add the cumin seeds and fry for 3-4 seconds. 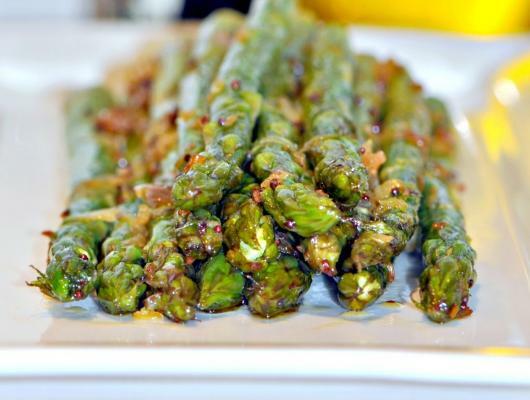 This dish however only uses a couple of spices for flavouring and as they are seeds rather than the powder, their oils and flavour is released into the oil which then coats the asparagus. The asparagus season is usually end of April –June and they are packed with soluble fibre, iron and low in calories too. Some even claim they have aphrodisiac properties! But I’ll leave that for you to confirm! I have mentioned a ‘pinch’ of chilli powder. Now, how large your pinch is will depend on the strength of your chilli powder. 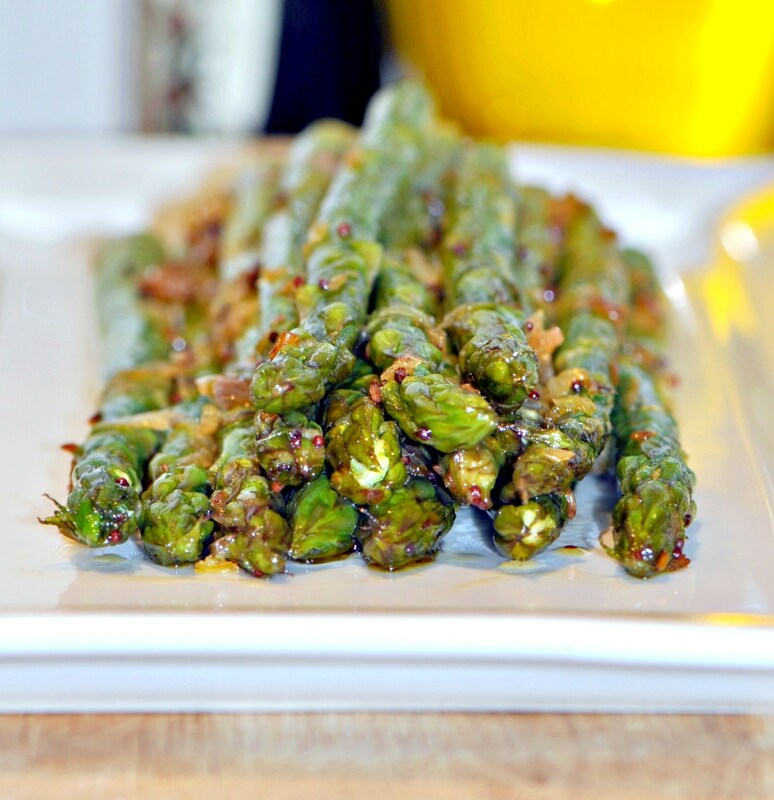 However as guidance, this dish should be tangy with a hint of sweet, a slight kick as the back of your throat and of course, all the ‘crunch’ and freshness of the asparagus. On another note, I don’t normally use olive oil for Indian cooking however; we are not cooking this dish for too long so the chance of the oil burning is reduced. In addition, the grassy flavour of the olive oil (I used Olive Branch) really compliments the asparagus.